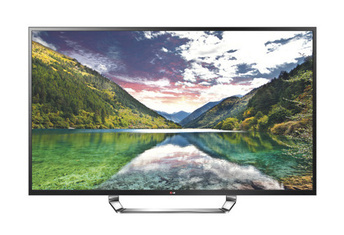 Despite reports that it would be delayed, LG has brought the first Ultra HD TV to the U.S. The TV, which is 84-inches, will retail for $20,000 and be available only at Video and Audio Center, an independent electronics retailer in California. The store is selling the massive TV for $17,000, a discount on its MSRP. Ultra HD, formerly known as 4K, is a standard that requires a 3840 x 2160 pixel resolution and 16:9 aspect ratio. Additionally, any Ultra HD Display must have at least one digital input for native 4K video, not just upscaling. Rival Sony has an 84-inch TV, expected for launch in November, but at a higher price tag with an MSRP of $24,000. For the time being, the displays cannot take advantage of their true potential as there is no native 4K content commercially available.